Can you please [ ] the table [ ]? Can you please wipe the table off? 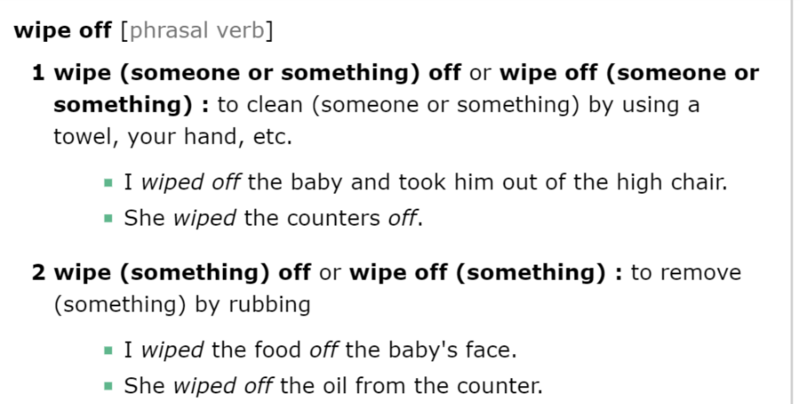 Wipe the food off the baby's face. Wipe off the food from the baby's face. Can you please wipe off the stains from the kitchen? You have to wipe off the cookie crumbs from the table before mother comes home.